Satellite radio has been around for a long time, but the technology still isn’t as widely used or understood as traditional radio. While satellite radio technology does share some similarities with both satellite television and terrestrial radio, there are also important differences. The basic formatting of satellite radio is identical to terrestrial radio broadcasts, but most of the stations are presented without commercial interruptions. This is due to the fact that satellite radio is subscription-based, just like cable and satellite television. Satellite radio also requires specialized equipment just like satellite television. The main benefit of satellite radio is that the signal is available over a much broader geographical area than any one terrestrial radio station could possibly cover. 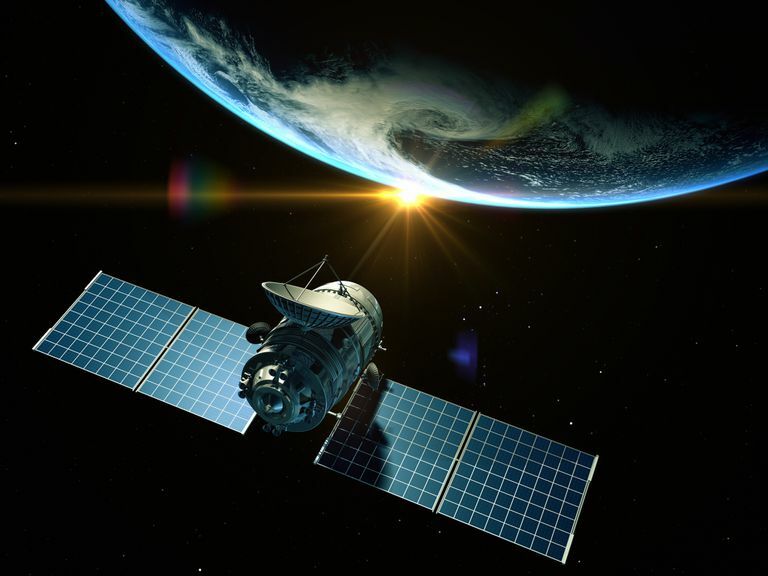 A handful of satellites are capable of blanketing an entire continent, and each satellite radio service provides the same set of stations and programs to its entire coverage area. In the North American market, there are two satellite radio options: Sirius and XM. However, both of these services are operated by the same company. While Sirius and XM used to be two separate entities, they joined forces in 2008 when XM Radio was purchased by Sirius. Since Sirius and XM used different technology at the time, both services remained available. At its inception, XM was broadcast from two geostationary satellites that reached the United States, Canada, and parts of northern Mexico. Sirius used three satellites, but they were in highly elliptical geosynchronous orbits that provided coverage to both North and South America. The difference in satellite orbits also affected the quality of coverage. Since the Sirius signal originated from a higher angle in Canada and the northern United States, the signal was stronger in cities that had a lot of tall buildings. However, the Sirius signal was also more likely to cut off in tunnels than the XM signal. Sirius, XM, and SiriusXM all share the same programming packages due to the merger, but the use of different satellite technology when there were two separate companies continued to complicate matters after the merger. So if you're interested in getting satellite radio in North America, it's important to sign up for the plan that will actually worth with your radio. There were about 30 million satellite radio subscribers in the United States in 2016, which represents less than 20 percent of the households in the country. However, since some households have more than one satellite radio subscription, the actual adoption rate is most likely lower than that. One of the driving forces behind satellite radio has been the automotive industry. Both Sirius and XM have pushed automakers to include satellite radio in their vehicles, and most OEMs have at least one vehicle that offers one service or the other. Some new vehicles also come with a pre-paid subscription to Sirius or XM, which is a great way to try one of the services out. Since satellite radio subscriptions are tied to individual receivers, both Sirius and XM offer portable receivers that a subscriber can easily carry from one place to another. These portable receivers are designed to fit into docking stations that provide power and speakers, but many of them are also compatible with specialized head units. If you spend a lot of time in your car, a head unit that has a built-in satellite radio tuner can provide an excellent, unbroken source of entertainment on the road. However, a portable receiver unit allows you to take that same entertainment into your home or workplace. In fact, there are a few viable ways to get satellite radio in your car. Getting satellite radio in your car is pretty easy. It used to be harder to listen elsewhere, but that is no longer the case. Portable receivers were the first option that emerged since they allowed you to plug the same receiver unit into your car, your home stereo, or even a portable boombox type setup. Sirius and XM radio both offer streaming options as well, which means you don't actually need a receiver to listen to satellite radio outside your car. With the right subscription and an app from SiriusXM, you can stream satellite radio on your computer, your tablet, or even your phone. Satellite radio is used for other purposes in different parts of the world. In some parts of Europe, terrestrial FM are simulcast over satellite broadcasts. There are also plans for a subscription-based service that will provide radio programming, video, and other rich media content to portable devices and head units in cars. Until 2009, there was also a service called WorldSpace that provided subscription-based satellite radio programming to parts of Europe, Asia, and Africa. However, that service provider filed for bankruptcy in 2008. The service provider has reorganized under the name 1worldspace, but it's unclear whether the subscription service will return. What Is the Difference Between Sirius and XM?